We here at MyCoolBin are fond of artists and designers who love to create their artwork using recycled materials and discarded items. In the past, we have featured numerous artists and their unique and innovative recycled artwork here. 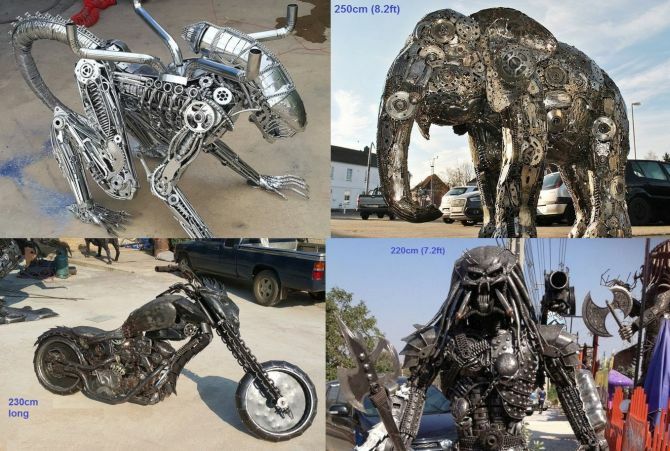 Well, the scrap metal art which we are showcasing today is surely the most incredible artwork that we have brought to you until now. Founded back in 2012, the Scrap Metal Art Thailand specializes in creating welded metal sculptures ranging in size from 1m to 8m high. 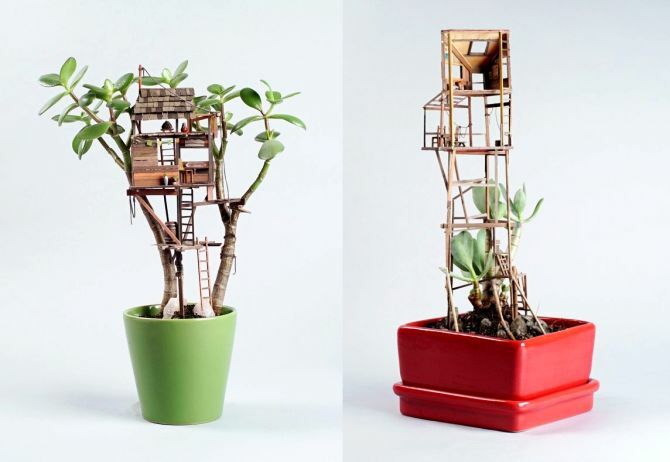 If you love the idea of a backyard treehouse but don’t have enough outdoor space around your apartment, then you must have a look at these miniature treehouse sculptures. LA-based artist Jedediah Corwyn Voltz has brilliantly brought treehouse structures indoor, sitting with ordinary plants.